Graeme has a passion for all things dairy. 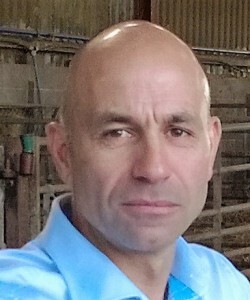 Having graduated from Harper Adams University in 1993 and then undertaking various roles within BOCM Pauls for 12 years, before joining a global animal health company, where he developed an interest in cow comfort, fertility, staff/team management and optimising milk/beef production. In 2015 Graeme set up his own nutrition farm consultancy business, covering the South of the UK working with farms that cover the whole spectrum of production systems; from 2000 cow herds to Organic farms and everything in between. He now works with robotic farms and systems, fine tuning robot performance and output. To receive further information about Kingshay's Dairy Consultancy please call 01458 851555 or email contact.us@kingshay.co.uk.